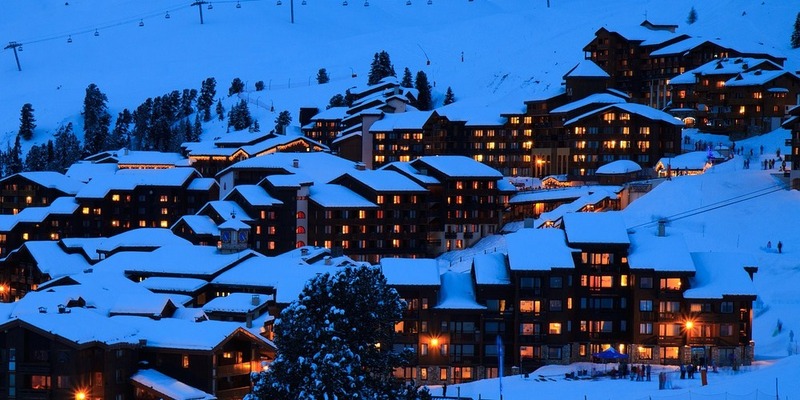 The resort of La Plagne is located in the Paradiski region and is perfect for families of mixed abilities. Its green and blue slopes can occupy beginners and younger skiers with plenty of more advanced slopes for those looking for more of a challenge. La Plagne also enjoys a Famille Plus label for the great family facilities and activities it offers. There is day care, children’s lessons, a babygym and even a luge! The adventurous give ice-climbing a try on the resort’s renowned artificial waterfall, enjoy the unique opportunity of a night ski and have a go on France’s only public bobsleigh. There is fun to be had by all the family at La Plagne. St. Martin de Belleville is great value for money, especially for families! The resort is actually a traditional Savoyard village with a true Alpine feel and offers special ski passes for beginners as well as frequent family deals. If you are lucky, you may only have to pay the children’s price for the whole family! As well as cheap passes this resort has plenty of greens and blues for beginners, but is more suitable for those who already know the basics. It is also part of the Three Valley’s ski area, giving those looking for more of a challenge plenty of opportunities for fun. If you want a break from the slopes, there is plenty to explore in the historic centre, with a baroque church and a local child friendly museum. Although a larger a resort, Les Arcs is split into 4 villages, each with its own special character. Arc 1950 is the most family friendly and lives up to the resort’s Famille Plus Mountain label with excellent facilities for children. The village is pedestrianised, has a swimming pool, children’s club, kid’s corner and you can borrow board games for a family night in. Childcare and ski lessons are also provided in English. And what about the skiing?! Well you will have access to the 425 km of pistes in the Paradiski region, offering a fantastic mix of runs for all levels. There is also lots to do off the slopes with shops, spas, restaurants and bars with something for everyone! With 8 green slopes and 25 blues, La Rosière is the ideal small family resort for those unsure on the slopes. The resort prides itself on its excellent family facilities and welcoming atmosphere. With beautiful tree lined nursery slopes, a Yeti Village and Lutins magic carpet, the resort has everything you need for young beginners. There are also more advanced slopes and if you want to leave the kids in safe hand while you try them out look no further than Les Galopins Club. This wonderful childcare offers an excellent service and ensures that your children are kept safe and well entertained! La Rosière is certainly one of the best family friendly resorts in the Tarentaise. 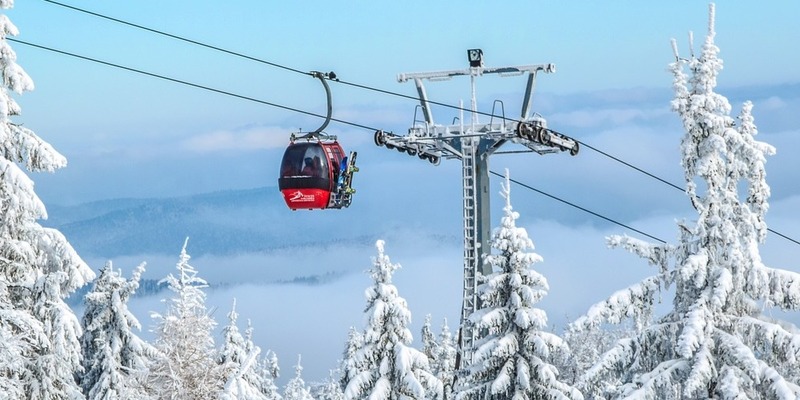 If you are looking for a mix of traditional Savoyard charm, beginners’ slopes and renowned off-piste areas, Sainte-Foy is the resort for you. This small resort overlooks the impressive Thuria Glacier and has lovely half-timbered buildings and cosy bars and restaurants for all the family to enjoy. The resort is almost always quiet even in the high season and has wide tree lined slopes perfect for those setting out for the first time. On the other hand, it also has some fantastic off-piste skiing and the notorious Crystal Dark black run. If you want some beginners’ lessons or just want to improve your technique, the Ecole du Ski Français providers brilliant lessons in English for adults and kids from 3 years old. How to reach the resorts? The Tarentaise Valley resorts are well connected with flight options from Grenoble, Geneva, Chambery and Lyon and train connections from various local stations. You can transfer to the ski resorts directly from the airport or train station with Snowbus’ private or shared transfers. There are many flight options from the UK, including flights offered by budget airlines Easyjet and Ryanair. Frequent options from London from Gatwick, Heathrow, and Stansted, as well as regional airports, such as Bristol and Birmingham. If you are planning to drive to the airport in the UK, make sure to book parking in advance and save money with Parkhero. This comparison platform is great for finding cheap airport parking across the UK, saving you money for your trip.